How to cook broccoli to retain all of the health benefits of broccoli? Cooked and raw broccoli will make an excellent addition to your healthy balanced diet. When cooking broccoli, remember that the cooking method can dramatically impact the amount of nutrients the vegetable delivers. The best way to cook broccoli is by quick steaming or a healthy sautéing method to preserve its nutrients. If you want to stir fry broccoli you should do it by light steaming using a healthy sauté method. Boiling broccoli causes a loss of 56% of the folic acid in broccoli. Also most of the nutrients are water soluble and during heating they leak into the cooking water. As you want to retain most of the nutrients, you should cook broccoli in the minimum amount of water possible, as during steaming. If you want to microwave broccoli it will result in losing an average of 97% of the antioxidants, decreasing the levels of all the health promoting properties. In comparison, steamed broccoli loses only 11% of the same antioxidants. Add a few table spoons of broth in the frying pan instead of oil, lightly steam the broccoli and then add some oil immediately afterwards. Only lightly stir fry broccoli in extra virgin olive oil or sunflower oil to retain the similar nutrient levels as raw broccoli. Steaming broccoli causes the least loss of nutrients when compared to all other methods of preparation. So how to steam broccoli…Steaming broccoli and healthy sautéing are the only methods which preserve the majority of nutrients in broccoli. It is fast and easy to steam broccoli. Remove the base of the broccoli, you don’t want to eat the woody end of the stalks. 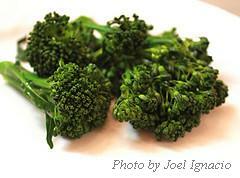 Steaming broccoli: There are a number of ways to steam, depending on what you have at hand. Ideally the broccoli needs to sit in a basket/tray which sits over the water, not in it, and where a lid can fit properly over the top. Put a small amount of water into the steamer, not too much is required but enough so the water doesn’t disappear when steaming. Once boiling, put the broccoli in the steamer. Take the pan away from the heat and remove the lid once the broccoli is done.